The Maze Runner Digital HD Release Review - Are You Screening? 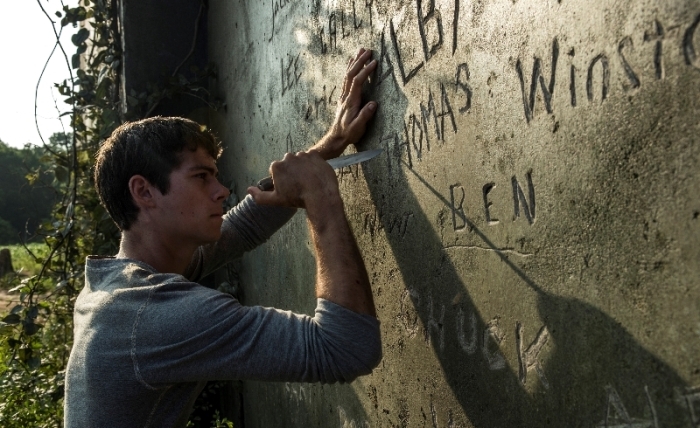 The Maze Runner hit theaters as a bit of a curiosity. 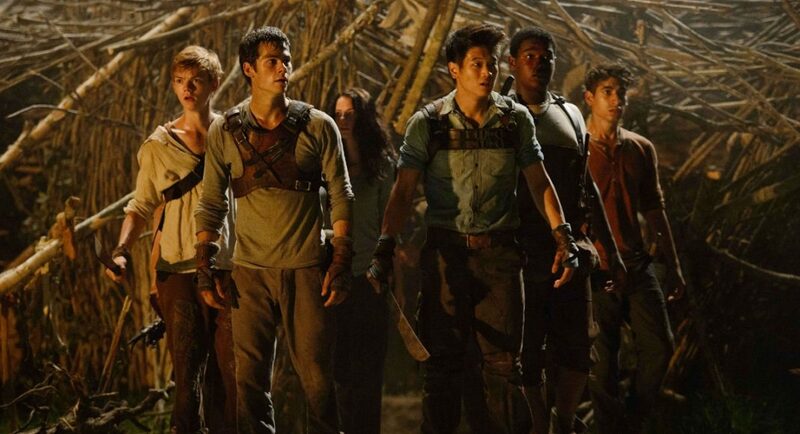 Unlike most YA novels that get adapted into films, The Maze Runner didn’t have the same kind of mainstream traction that most do, though lesser-known titles are not unheard of, and it didn’t aim to attract a star with pull beyond the target demographic. While Dylan O’Brien has some small amount of variety to his credits, he’s really just the guy from Teen Wolf, which means you have to already be extremely likely to be familiar with The Maze Runner to know who he is. That isn’t a bad way to go. In fact, it’s probably a genius way to go, but it isn’t the norm, and doesn’t make for the broadest opportunity. That’s a shame, because apart from a couple of problematic notes, and the fact that the ending goes completely goofy, it’s a surprisingly fun film. Dystopia being the new vampire, one of the film’s most interesting decisions is that it doesn’t give you anything about society until it’s almost over. Like a thought experiment gone wrong, the story is just about kids who suddenly find themselves in a sprawling glade surrounded by an enormous maze. Thomas (O’Brien) is the latest arrival, and he shows up, as have all the others, with no memory of who he is. He soon learns that the doors to the maze open every morning, and close every night, and a special group of the outcasts he now lives with spend their days running the maze, hoping to map it and find a way out. 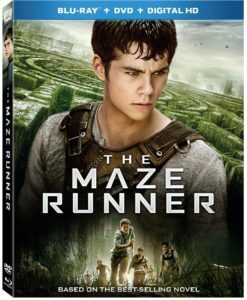 As the story unfolds, Thomas learns that there are monsters in the maze, but they are only released at night, so while our captive group of adolescents are free to enter the maze if they wish, they better not find themselves trapped when the doors close. Looking for some way out, as is everyone, Thomas has to find his place in this curious Lord of the Flies “island,” and it isn’t going to be easy. Like any society that has been thrown together by the random introduction of new members once a month, with its arbitrary rules, and blind adherents to the status quo butting heads with people who might have new ideas, this is a group that doesn’t take to the new guy trying to upset the balance. There’s something to the film’s lack of explanation, though this unfortunately leads to a more or less nonsensical conclusion, and it does a good job of pulling the audience along with Thomas, never revealing more to us than it does to him. It’s generally simple in overall construction, but doesn’t let that turn things simplistic. It’s fun-filled adventure, and while a few of the characters don’t have time to break away from their genre-niche mandates, most of the time is spent building a thoughtful ride that serves its entertainment purposes surprisingly well. The film’s main flaw is that Will Poulter is just depressingly bad, and hasn’t improved since Dawn Treader. He has the least interesting, most boringly obvious character in the film, but he can’t do anything with it, and it shouldn’t be that hard. Luckily, the character is easy to ignore, and doesn’t detract too much from the overall flow. Assuming this “easy,” dystopic romp is something that manages any interest at all, it won’t disappoint. Available via the usual suspects, the digital HD release is a winner. If you haven’t made a significant move toward getting your movies from such places as iTunes, this is one to start you moving in that direction. The video is wonderful, depending on what you’re watching it on, of course, and the experience is very much what you get with the Blu-Ray anyway. With the exception of a comic in the Blu-Ray pack, you’ve got all your bonus features available, and a menu system just like watching it on your Blu-Ray player. This one comes with a nice assortment of bonuses, and fans are going to appreciate that, especially considering the fact that bonus features seem to be on a bit of a downturn over the last year. You’ve got your gag reel, and about twenty minutes worth of deleted scenes, the trailer, and image galleries, but that’s just the start. You get a very interesting Making Of documentary which is split into five parts. This one is actually a far better effort than you probably expect, just based on the fact that this is not the next biggest release ever. There’s a lot going on in this movie, whether you love it or not, and the ins and outs of how a lot of this made it to the screen is not only interesting, but is given to you here in a more solidly put together vehicle than most. There may be something here to an appeal to the demographic of fans, but if that’s the case, it’s the way these things should always aim. The feature also has a commentary track with Wes Ball and T.S. Nowlin, and this is also a strong effort that probably has much to do with not only aiming at a younger-than-average audience, but the fact that Wes Ball is still riding a sort of directing high at this point. Will you make it out alive? Twentieth Century Fox Home Entertainment invites you to unlock the mysteries of the maze on December 16 when THE MAZE RUNNER hits Blu-ray™ and DVD. 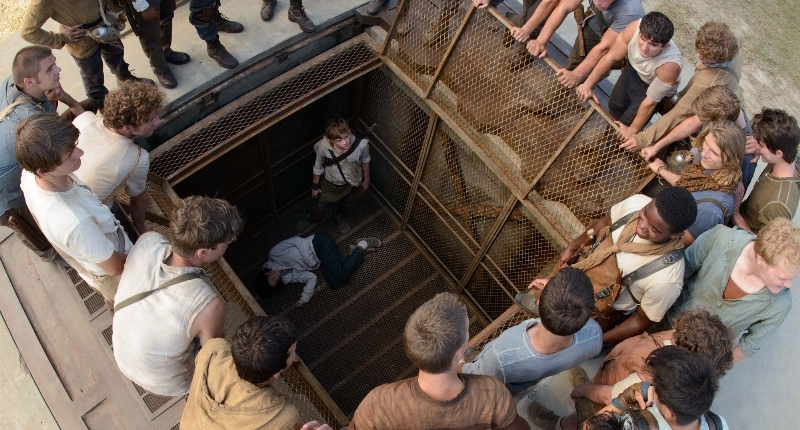 Based on the book by James Dashner that made The New York Times best-sellers list for more than 100 weeks, THE MAZE RUNNER brings together an up-and-coming cast of young talent including Dylan O’Brien (“Teen Wolf,” The Internship), Thomas Brodie-Sangster (“Game of Thrones”), Will Poulter (We’re the Millers), and Kaya Scodelario (“Skins”) that do whatever it takes to survive.